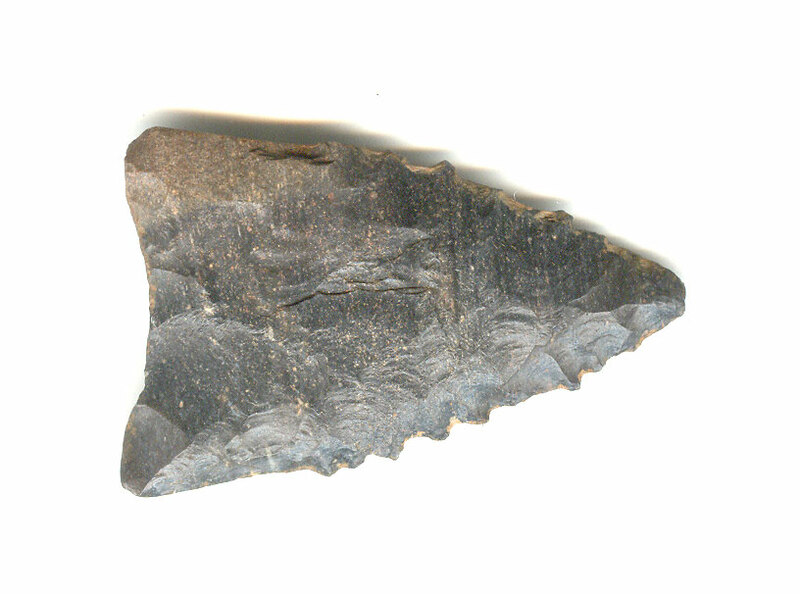 A Medium Size, Rare, Anciently Aged And Visibly Use Sharpened, Kisatchie Style Dalton Point That Exhibits Surface Sheen And Stone Aging Coloration Patination, Correct Rolled Basal Stem Edge Hafting Dulling, Aged Limestone Caliche Surface Bluff Shelter Deposits, Correct Blade Sharpening Use Reduction, Correct Material And Manufacture For The Area Found. Ex-Leo Paul Davis Collection. This Is A Rare Type Dalton, Displaying Age And Ancient Use, With Excellent Collector History, Being From A Prominent Collection! Includes A Ken Partain Certificate Of Authenticity!